The Additional Director is the controlling officer of Academic Section with the Deputy Director as the intermediary controlling officer. 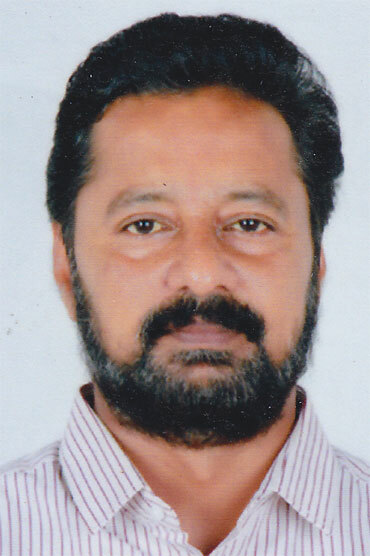 The intermediary officer in the Academic Section is Sri. Vinodh Kumar. R, Senior Superintendent. There are three major sections in the Academic namely DA, DB and DC Section. The following are the details of work allotted and dealing hands in the Accademic Section. This section deals with the Academic matters of Engineering Colleges under IHRD, matters on planning of new courses and new institutions under IHRD and academic matters of Finishing School and other matters if any allotted by the higher authorities. The files related to the academic matters of Colleges of Applied Science under Kerala and MG Universities are handled by Sri. Praveen. N. G. The files related to the academic matters of Colleges of Applied Science under Calicut and Kannur Univerrsities are handled by Smt. Sheeja. S and other matters as allotted by the higher authorities. This section deals with academic matters of Model Polytechnic Colleges under IHRD there admission and planning of new courses and all general matters as allotted by the higher authorities. This section deals with all the files related to the conduct of various regular, short – term and long – term courses conducted by IHRD, conduct of examinations, issue of certificates related to these courses and all other miscellaneous matter allotted by the higher authorities from time to time. This section deals with the academic matters of Technical Higher Secondary Schools under IHRD, conduct of entrance test for admission to 8th standard in Technical Higher Secondary Schools under IHRD, Maintenance of casual leave register of D Section and furnishing of absentee statement to Fin.B1 section for every month and other matters allotted by the higher authorities. This section deals with all files related to all networked courses and projects taken up and conducted by IHRD which are being implemented through associate institutions under IHRD, Skill Development Centres and, Model Finishing Schools, ASAP, Projects under Skill Development Programmes etc..,Academic Staff College and other matters entrusted by the higher authorities from time to time. This section deals with all files relating to all individual projects taken up by IHRD, PMD, Add on courses, Regional Centres, Kerala Legislative Assembly Project works, Annual Maintenance Contract(AMC), IT projects in the IT Division, Miscellaneous projects and other projects and other work allotted by the higher authorities.